Are you ready to give the Dubai Fitness Challenge your all, but worried about the cost adding up? Well, here’s how you can train every single day without spending a dirham. And even better, a lot of these workouts are available even after the 30-day challenge is over. If you’re looking for free ways to get fit, you’ll be spoilt for choice as there are five free Fitness Villages all over the emirate, all with their own theme. Fitness villages in DMCC Park, DIFC Gate, Kite Beach, Palm Jumeirah and Al Khawaneej are hosting daily bootcamps, yoga sessions, football matches, tennis games, acrobatic workshops, obstacle courses, running groups and so much more. Get all the details here or by downloading the free Dubai Fitness App. Want to improve your fitness, have a laugh and get obstacle race-ready at the same time? Join in with one of Dubai’s best beachfront bootcamps for free. OCR Nation coaches (all qualified personal trainers and Spartan Race ambassadors) will put you through your paces every Friday morning at 7am on Kite Beach. Expect burpees, sprints, and sandbag carrying to name a few of the exhilarating exercises. To find out more, check out their Facebook page Instagram or call head coach Bash on +971 55 851 2709. Lululemon don’t just do great workout clothes, they also do great yoga – and you can find both in-store. Mix browsing the aisles for fabulous leggings with perfecting your tree pose at their complementary yoga sessions. Head over every Wednesday at 8:30am to The Mall of the Emirates, Dubai Marina Mall and City Centre Mirdif. No registration or mats are required and all levels are welcome. Check out their Facebook page for the latest information. Curious about calisthenics? Love training outdoors with some of the fittest people in Dubai? Head to the free-to-use Calisthenics Park near Skydive Dubai. The public gym has a huge yellow climbing frame consisting of monkey bars, pull up bars, climbing ropes as well as a sprint track and a functional training area. Not only is it free to train there, but the view overlooking Dubai Marina’s impressive skyline is priceless. For more information visit the Calisthenics park Facebook page. To add even more variety to all of the above, we have a host of partner fitness centres and gyms offering free classes during the Dubai Fitness Challenge period, available exclusively on the Dubai Fitness app. Try HIIT meets weight training with a difference at SpeedFlex in the Marina; give a CrossFit Fundamentals session a go at InnerFight in Al Quoz; learn Paddle Boarding Basics with Kite N Surf in Jumeirah; get your heart racing with circuit sessions at Warehouse Gyms all over Dubai or take a swing at some golf balls at Arabian Ranches Golf Club. With hundreds of free workouts available across Dubai, you’ll need to make some room in your diary. 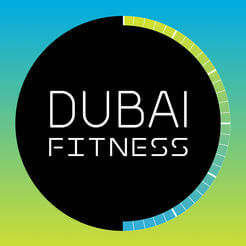 To check out all available classes and partner facilities download the free Dubai Fitness app today. Get ready for some ‘wheel-y’ good fun at the Al Qudra Cycle Course. Take your wheels through the heart of the Dubai desert, taking in wildlife as you ride. The 85km track weaves its way along Al Qudra road and through the dunes, offering the chance to spot birds, camels and oryx. The track is free to use if you bring your own wheels, or you can rent bikes at the nearby Trek Bicycle Store (located where Al Qudra Road and Bab Al Shams meet). Check out trekbikes.ae for more information on rentals. Need people to ride with? Then join the Dubai Roadsters’ free weekly ride of 85km on Friday mornings. Riders meet at Nad Al Sheba Cycle Park at 5.30am in the summer months and at 6am during the rest of the year. The group heads out on the roads and highways to Academic City and back. Get more info here. There’s nothing like a swim at one of Dubai’s beautiful beaches; long stretches of golden sand and calm waters make it the ideal place for some gentle cardio. Al Sufouh Beach (or Black Palace/Secret Beach as it’s called amongst many locals) is a good place to take a dip as you can drive directly onto the sand car park next to the beach. Then just run down to the sea, get in your lengths and then make the short run back to the car to grab your towel. Looking for somewhere with more facilities and local transport? Head to The Beach at JBR for changing rooms, a few more waves and several spots to grab a smoothie afterwards.